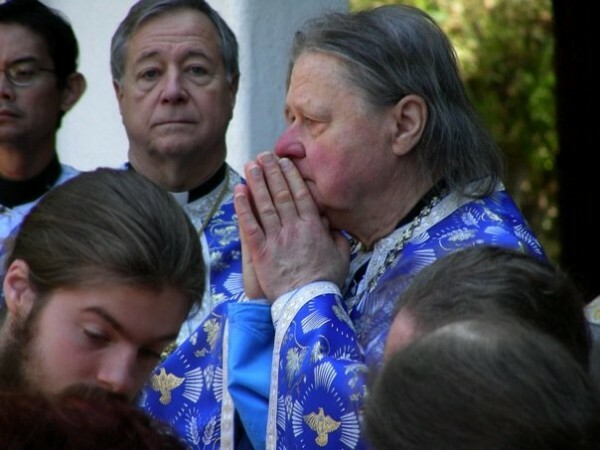 Archimandrite Theodor [Micka], Abbot of Holy Cross Monastery here [Bulgarian Diocese of the Orthodox Church in America], fell asleep in the Lord on Tuesday, June 17, 2014. Archimandrite Theodor will lie in state at the monastery through Friday, June 20, when the Trisagion will be celebrated at 7:00 p.m. The Divine Liturgy will be celebrated on Saturday, June 21, at 10:00 a.m., followed by the Funeral Service and interment. An agape meal of mercy will follow. Additional information will be posted as it is received. May Archimandrite Theodor’s memory be eternal!